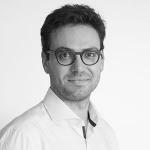 Dr. Maxime Souvignet is a Project Coordinator for the Munich Climate Risk Insurance Initiative (MCII) hosted by UNU-EHS in close collaboration with the Deutsche Gesellschaft für Internationale Zusammenarbeit (GIZ). The project aims to develop a strategic framework for low income countries and emerging economies in finding ways to implement climate risk insurance solutions in an integrated climate risk management approach. He holds a PhD. in Climatology and Hydrology from the University of Leipzig in Germany, which was conducted in close collaboration with the Center for Advanced Studies in Arid Zones (CEAZA) in Chile. Dr. Souvignet has a broad interest in climate change adaptation, climate risk modelling and uncertainties related with natural catastrophes. Much of his work focuses on developing concepts and methods for the spatial assessment of risk in the context of climate change and natural perils. Dr. Souvignet has previously worked as a consultant for different bi-lateral donors such as the KfW, the GIZ or the African Union (AU). He was a key expert in the KfW pilot feasibility study in collaboration with SwissRe. This project adapted the Economics of Climate Adaptation (ECA) methodology and its modelling tools (Climada) in order to assess climate adaptation potential in poor urban areas in San Salvador. Dr. Souvignet also worked in various academic institutions and he was a senior scientist at the University of Bristol, School of Geography. He has acted as an invited speaker at different events in Africa, South-America, North-America and in Europe.